Oculus values the highest level of service, safety and dependability in everything we do. We strive to develop strong, long-term relationships with our customers and the communities we operate in. Our rigorous employee training and equipment maintenance programs ensure we are able to provide our customers with reliable and efficient service and demonstrate our commitment to the safety of everyone involved. The focus is not only on providing a service, but to surpass the expectations of our customers while managing the unique environmental challenges that arise in our industry. The quality and performance of our equipment as well as the team operating it is always top of mind, and we wouldn't be successful without either one. We believe relationships are a vital component of our success, and we ensure the ones we develop are genuine and mutually beneficial. As a leader in the oilfield logistics sector, we are committed to operating at the highest standards of safety, stewardship and stakeholder engagement at every level. For over 30 years Ric Peterson has founded, influenced and developed companies in a number of industries, as a highly respected and accomplished businessman. Born to humble beginnings in Hythe, a small town in Northern Alberta, Ric recognized his passion for entrepreneurship very early in life; starting his first business Tags, at the age of 19. He has a keen eye for opportunity, and has been involved in a number of projects ranging from real estate developments in Whitehorse, to service based businesses in the oil and gas industry. In 1991 Ric founded Formula Transport, an oilfield transportation company in Northern Alberta and BC. He successfully ran Formula until it was purchased by Producers Oilfield in January of 2005. At that time Ric was appointed CEO of Producers, until June 2006 when The Mullen Group acquired the company. Shortly after Ric founded Horizon North Logistics, where he remained the CEO until January 2010. After a short lived stint in retirement, he returned to the oil and gas sector and founded another oilfield service company, Oculus Transport in Calgary AB. Since then, he has co-founded CanAirNitrogen, become a partner in the Microtel Group, and acquired a 5,000-acre buffalo ranch near his hometown in Northern Alberta. When he is not forming and leading successful companies, Ric’s passion is his family, and auto racing; both of which go hand in hand. In 2013 he became the co-owner of and Indy Car team, Schmidt Peterson Motorsports, based out of Indianapolis, Indiana. 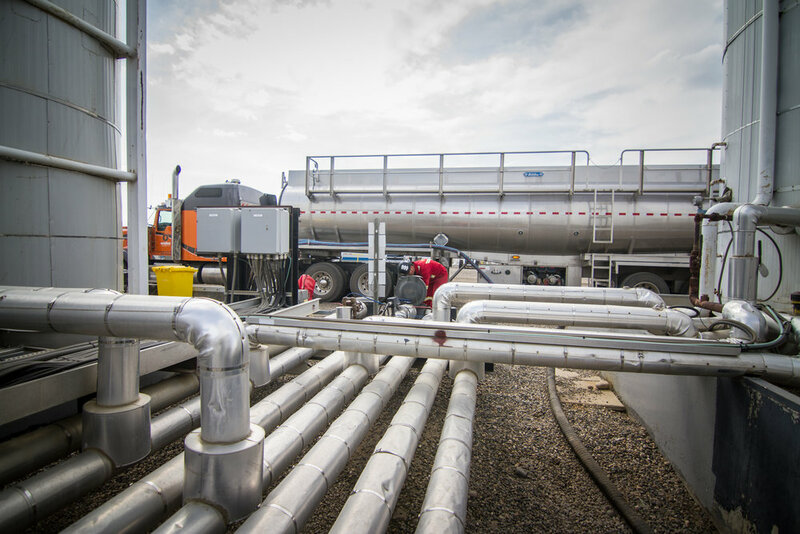 Founded in July 2011 by industry veteran Ric Peterson, Oculus Transport specializes in a range of services for pipe, fluid and NGL to provide an integrated transportation and storage solution for the oilfield. In September 2011 Oculus purchased Koda Transport Ltd. in Fort St. John BC adding a pipe yard containing a 800ft rail spur that can accommodate 23 rail cars for strategic unloading and storage of product. In October 2011 Oculus acquired KDP Contracting, which consisted of fluid transport equipment, and shortly after in November 2011 Oculus built a tank farm with 12,000m3 of storage and an invert mixing tank. After acquiring NKC Services Ltd. & Brave Transport in June 2012 Oculus officially began offering oilfield hauling services in Grande Prairie AB. In August 2015 Oculus completed construction of a new facility in Sexsmith AB to further expand its service line. The facility boasts a 40 acre pipeyard and tank farm with direct rail spur capable of holding 55 cars. 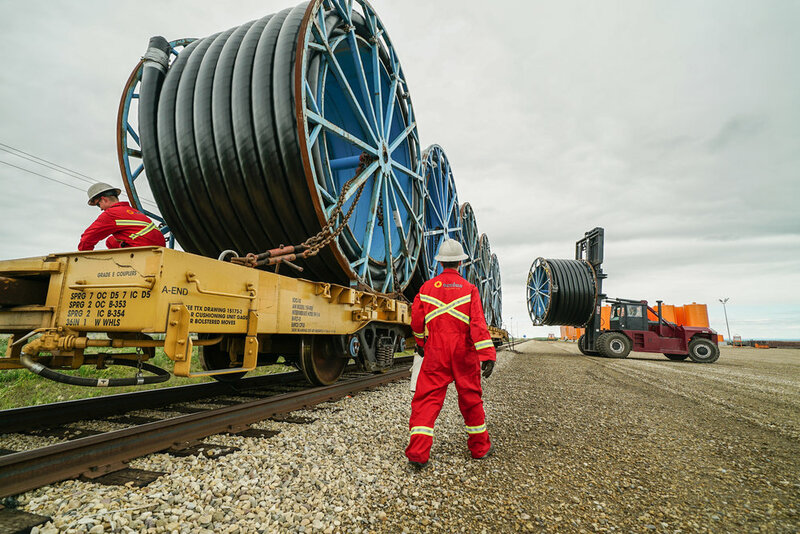 In 2018 Oculus began offering High Vapor Pressure (HVP) hauling to the Edmonton AB region, and continues to explore strategic options to expand its business and service lines.